Professor Kevin Sylwester, Professor in the Department of Economics, is the winner of the 2017 Outstanding Teaching Award in the College of Liberal Arts. 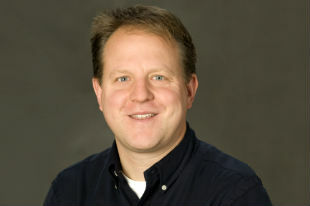 Dr. Sylwester received his Ph.D. in 1997 from the University of Wisconsin-Madison. From 1997-98, he was a visiting Assistant Professor at the University of Florida-Gainesville, and joined the Economics faculty at SIU Carbondale as an Assistant Professor in August 1998. In July 2003, he was promoted to Associate Professor with tenure and in July 2016, he was promoted to Full Professor. Professor Sylwester is an excellent and a very versatile teacher at the undergraduate as well as at the graduate level and has taught numerous courses at both levels in the Department of Economics At the undergraduate level, he can teach any course in the department. His teaching statement is very thoughtful with examples of teaching techniques and outcomes. He regularly makes use of the technological advances in the form of government websites and other online material in his classes. These efforts have greatly benefited his students. His goal for undergraduate students is their understanding and ability to make use of economic concepts. For graduates, his aim is to help them master the theory, methodology, and mathematical techniques that will help them launch their own research. Besides being an excellent teacher, he has contributed significantly (way more than his fair share) to the indirect teaching in the department in the form of directing Ph.D. dissertations, serving on Ph.D. dissertation committees and directing Master’s Thesis and/or Research Papers. As per his teaching statement, his goal in any course for students “is to retain the course material well after the semester has ended,” and wants the benefits to be long-lasting for his students. To make his courses interesting to students, he uses numerous real life examples in his lectures to explain to students how the economic concepts apply to them in their daily life and how they have mattered historically or globally. He wants his students to appreciate the difficulties and conflicting opinions that policy makers face in making economic policies. Overall, in his undergraduate classes, he makes the material interesting and they can see the application in real economy. That helps undergraduates to learn and retain the material. He has supervised undergraduate research, has taught undergraduate honors course in Economics and many independent readings courses for undergraduate students where students choose their own topics. Recently, he has also directed research through the McNair Scholars Program and REACH (Research-Enriched Academic Challenge) from CURCA (Center for Undergraduate Research and Creative Activities). Professor Sylwester is not only an excellent teacher in the classroom, but he is equally a great mentor in directing Ph.D. dissertations and Master’s Thesis and/or Research Papers. So far, he has chaired/co-chaired 23 Ph.D. dissertations; served on another 48 Ph.D. dissertation committees and has guided 10 Master’s Theses/Research Papers. At present, he is chairing four other Ph.D. dissertations. All of his students whose dissertations he chaired/co-chaired have been well settled. He has published 29 papers in reputable journals, some even in top journals (ranked as 5 or 4 on a scale of 1 to 5 with 5 being the best e.g. World Development, Economica and Economic Inquiry) with 12 of his former students. This is a remarkable testimony of his mentorship and his contributions to “indirect teaching.” This also testifies to Professor Sylwester’s popularity in “Direct Teaching.” Professors who do a great job in direct teaching, will have students choose them as their mentors for Ph.D. dissertations and Professor Sylwester is a great example.